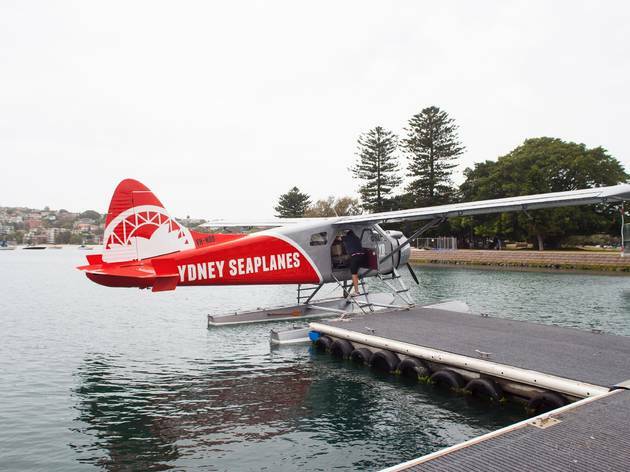 Sydney Seaplanes operates from the site of Australia’s first international airport, where Catalina flying boats would take off for a ten-day journey to London in the early ’40s, stopping 30 times on the way. 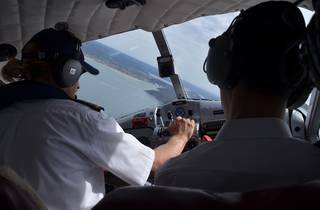 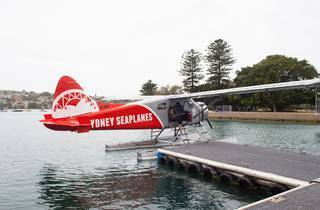 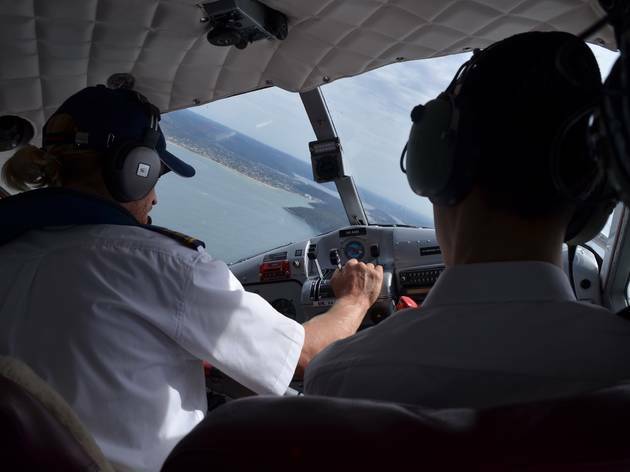 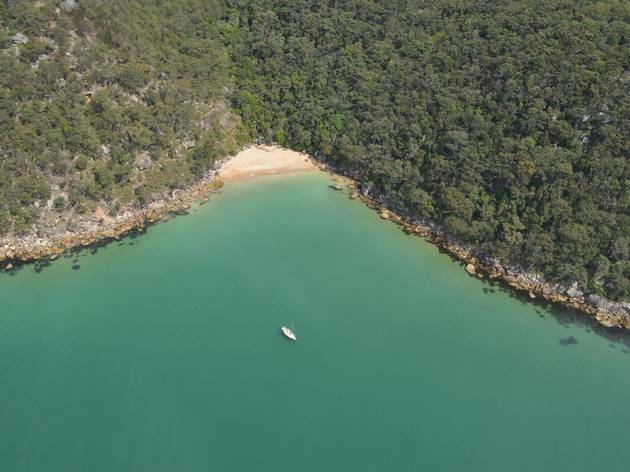 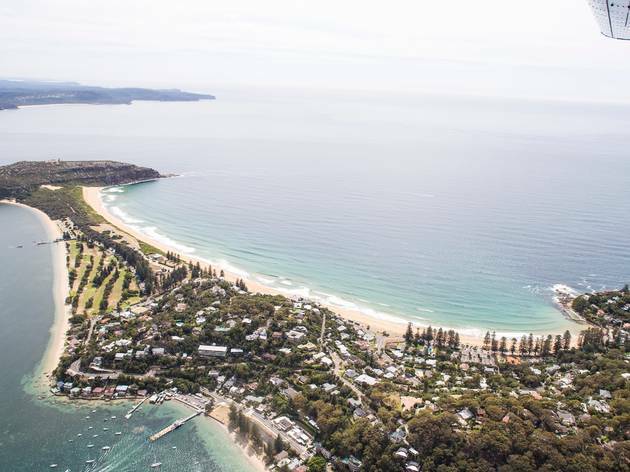 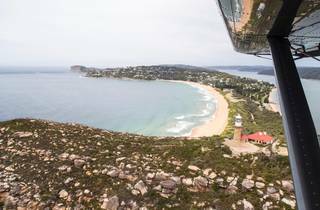 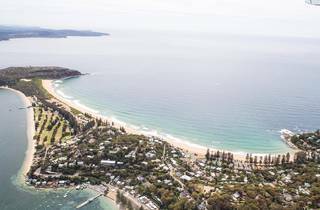 Now, they run approximately 15 flights a day, all year round, taking passengers over Sydney’s sandstone coastline for short scenic tours or fly-and-dine experiences to Cottage Point Inn on the Hawkesbury or Jonah’s at Whale Beach. 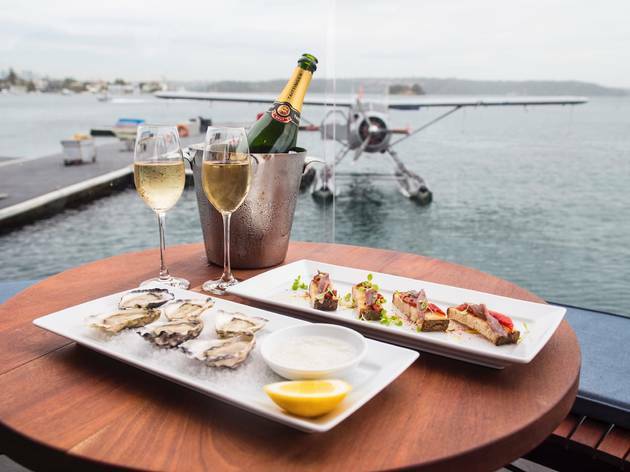 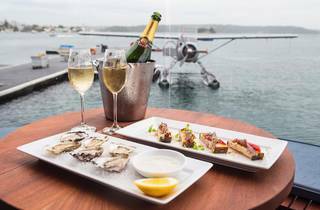 Recently, the terminal has undergone a transformation from shabby shed by the water to a high-end waterside dining spot where Rose Bay residents can stop in for a coffee and pastry or Champagne and oysters. 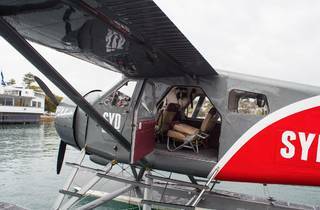 There’s a mini museum on site where visitors can drop in and discover the terminal’s history as a destination for luxury aviation. 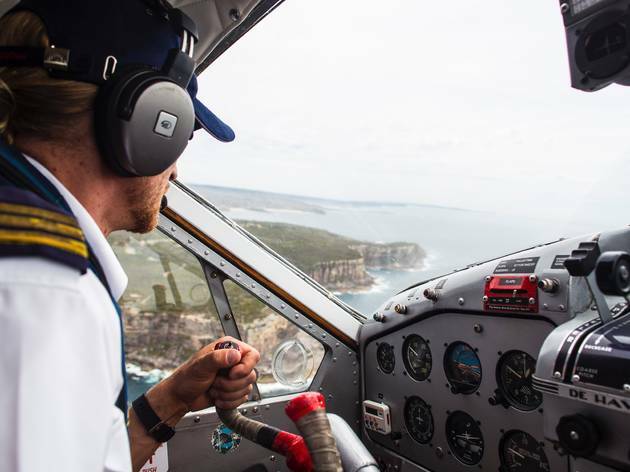 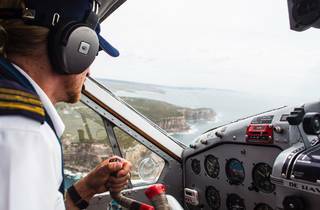 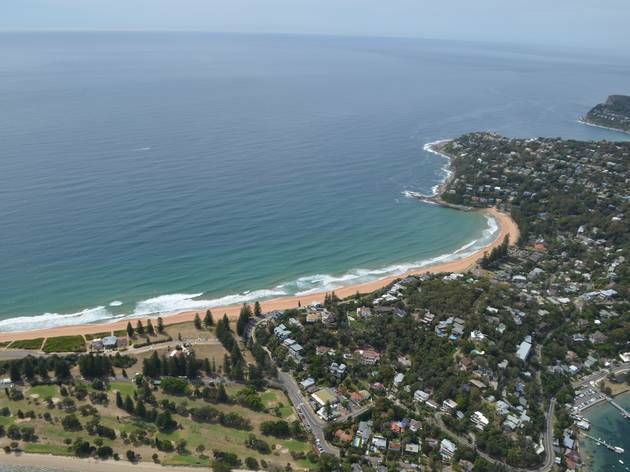 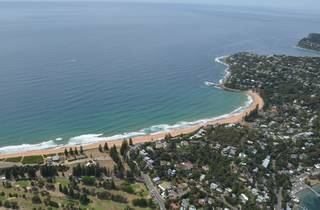 Inside the six-seater aircraft you feel every bump of turbulence, but our friendly pilot Tim is quick to ease our nerves by pointing out the landmark beaches from Camp Cove to Shelly Beach, Avalon to Palm Beach. We land at Pittwater to drop off two passengers who are staying the night at Jonah’s – they’re picked up by a small boat complete with canine sailors. 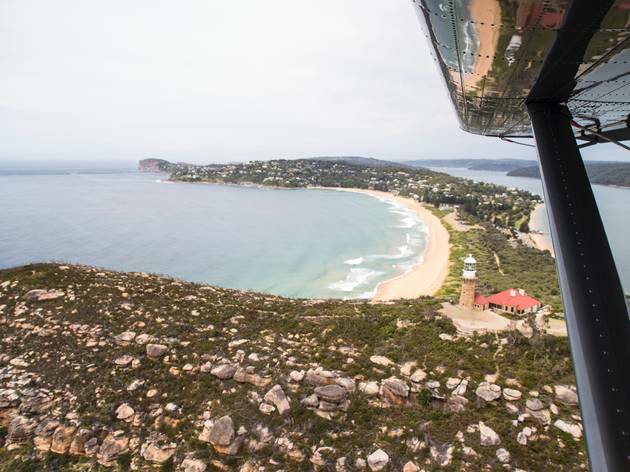 Back in the sky, we spot a pod of 20 dolphins frolicking around Barrenjoey Lighthouse. 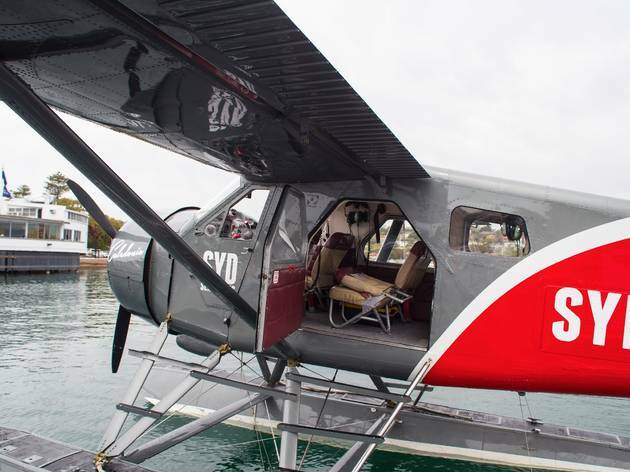 Tim tilts the plane so we can get the best photos possible as we cruise back to the inner harbour at 1,000 feet. 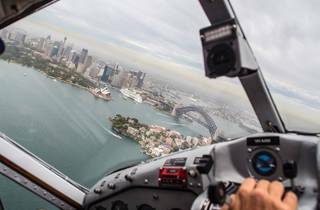 The Manly Ferry looks like a tiny toy boat from up here. 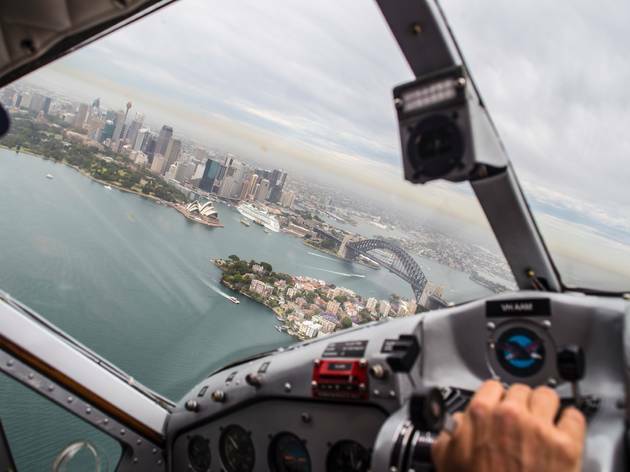 And as we thought it couldn’t get better, we circle the fortress island of Fort Denison for the finale: Sydney Opera House, the Harbour Bridge and the Botanic Gardens. 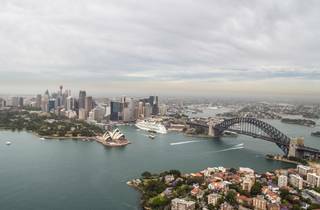 Damn, Sydney. 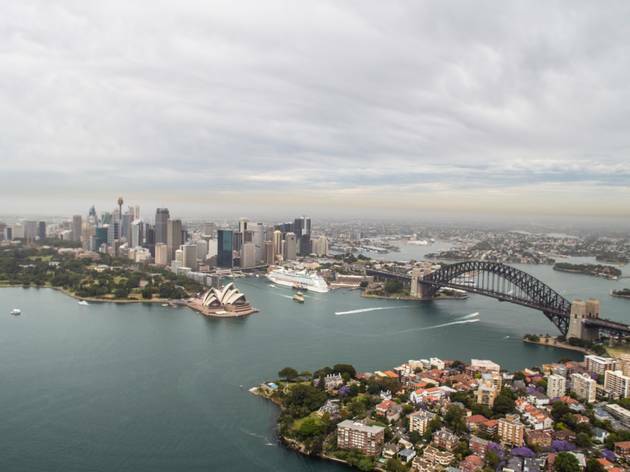 You’re one hell of a city.